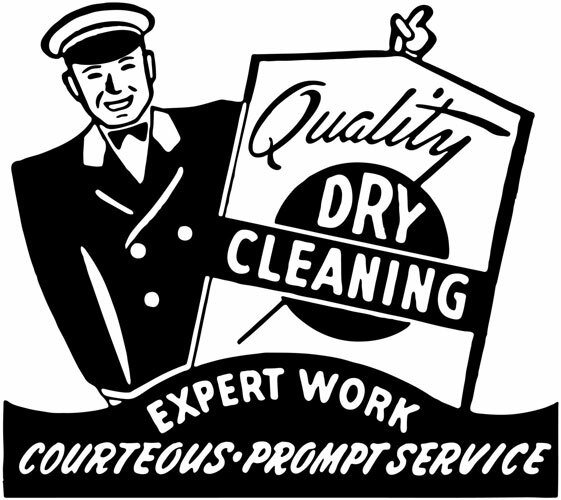 Dry Cleaning is a process that uses a chemical fluid to clean garments. In some cases it is the only safe method of cleaning garments. Dry Cleaning can extend the life of your expensive wardrobe. The process does not involve water, but rather perchloroethylene (perc). A Kleenex can be dry cleaned, and look and feel as if it was just taken from the box. Could you do that in your washing machine? Dry Cleaning returns the garment to a “like new” condition. At Anderson Cleaners, clothes are sorted by color, fabric type and clothing construction. For example, a red wool winter coat is not cleaned with a white silk blouse. Not all cleaners are alike with respect to stain removal. Expert training in the identification and proper stain removal techniques insures the safety of the fabric. How often do you reuse your wash water in the laundry? Some cleaners do not filter the solvent and this causes whites to become dingy and the whole process unacceptable. The concept of solvent monitoring places Anderson Cleaners as a leader in the dry cleaning industry. Our operation is monitored daily for the maximal features that include constant perc filtration and distillation. We constantly filter our solvent so each load has a fresh solvent free of impurities. Anderson Cleaners provides exceptional dry cleaning service for your garments, with a focus on customer care, proper classification and analysis, and thorough final inspection. For further questions about the dry cleaning process, contact us. All garments are cleaned according to the type of garment, color and fiber content. Beads and sequins are analyzed for proper cleaning procedures. Each item is individually inspected to guarantee the best care for the garment. Stain removal procedures are state of the art at Anderson Cleaners, with a reputation of removing the most difficult stains. The skilled staff at Anderson Cleaners finishes all garments with steaming or pressing, according to fabric recommendations. Hand finishing is a must for certain fabrics, like silk, linen and satin. Final Inspection includes checking for free minor repairs and missing buttons. Packaging for ease in transportation and assurance that your garments will be neat and organized from our location to your closet.